Last week it was made known by the European Investment Bank (EIB) that the Russian banker Vladimir Antonov will never be approved as part owner of Saab as long as the EIB provides Saab with loans. This was a decision the EIB made back in 2009 and they will not reconsider. This decision was communicated to both the Swedish Government and Saab. So far so good. One would maybe expect to get an explanation why he will never be approved, but I guess that is to much to ask from a self-righteous organization like the EIB. For some reason, neither Saab nor the Swedish government interpreted this rejection as a permanent decision. And therefore Saab applied to both the Swedish National Debt Office, the Government and the EIB earlier this year for Vladimir Antonov to be approved. The NDO put down a lot of work in examining Vladimir Antonov's life and business. And they found that there were no reasons that he should not be allowed to be part owner of Saab. The Swedish Government's answer to the decision of the NDO was that the Government would allow Antonov if General Motors (who also has to approve new owners) and the EIB did so too. General Motors had no objections as long as some conditions were fulfilled. And weeks passed by. Months passed by. Still no decision from the EIB. Then all of a sudden the EIB tells us that their are not looking into the application to approve Antonov. Reason being that he was rejected in 2009 and the EIB will not reconsider. This surprises Saab. And the Swedish Government. But how can the Swedish Government be surprised? After all, Sweden's Minister of Finance is on the Board of Governors of the EIB! And Director General at the Ministry, Kurt A. Hall, is member of the Board of Directors of the EIB. And Sweden is shareholder of the EIB. How has Anders Borg used his position on the board of the EIB to influence the Saab affair? There is silence on the phone: "What kind of Board?" - But does he have a position on the board ... of the EIB? The answer is that Sweden's Minster of Finance has been on the Board of the EIB since 2006. And should of course have first hand knowledge of why the EIB decided that Antonov would not be approved and that they refuse to reconsider. But the Swedish Government only seem to be a circus filled with clowns. On the bright side, DI reports today that the Swedish Ministry of Enterprise says that it will contact the EIB and ask for an explanation of what's going on. According to the Ministry of Enterprise, it was under the impression that the EIB was examining Antonov and his business to see if the decision could be revised. Here's an encouraging story from The Grand Rapids Press. We all can only imagine how hard the last two years must have been for Saab dealers all over the world. But most of them are holding out, supporting their brand and believing in a great future for Saab. One of these dealers are Fox Saab. 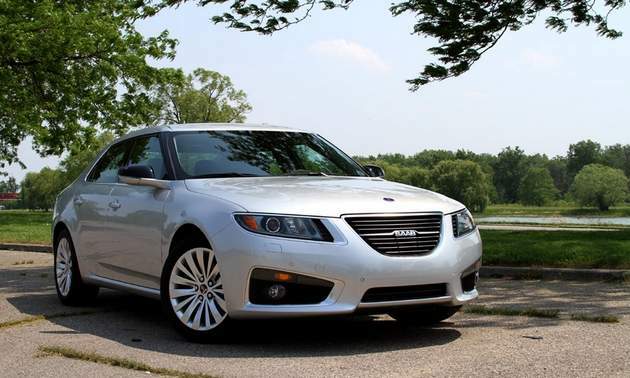 “It’s been an interesting road with Saab over the past two years. Getting the public through the jitters of what the corporation is going through is hard, but we’ll make it through in the long run,” Fox Motors division director Pete Ricards tells The Grand Rapids Press. Kudos to all dealers out there! Gemini not given Saab the promised EUR 25 million loan? Yesterday we got the news that Saab delayed payment of wages to white-collar workers due to delayed payments from investors. Today Swedish Di.se reports that it's the Bahama's based fund Gemini Investment Fund Limited that has not carried through it's payment of the EUR 25 million convertible loan. The reason is said to be disagreement around legal issues and the question of security for the loan. It has been reported earlier that the Russian banker Vladimir Antonov is believed to be behind Gemini Investment Fund Limited. According to Expressen, Saab was counting on this EUR 25 million convertible loan and has therefore used all it's remaining money on paying suppliers in an attempt to restart production. This would also include SEK 25 million additionally received in the property sale, which would mean that Saab so far has received SEK 230 million for 50.1 percent of the company Saab Automobile Property AB, and with a remaining SEK 25 million to be received as soon as a suitable last estate investor is found. On the bright side, Di.se also reports that Saab's CEO Victor Muller, yesterday was in the US trying to securing new funding to Saab. Zhejiang Youngman Lotus Automobile Co. Ltd, the Chinese vehicle manufacturer which wants to take a 29.9 percent ownership in Saab, is also considering helping Saab. Youngman is still waiting for the approval of Chinese authorities to make its planned investment in Saab, but as the situation at Saab is getting more and more serious, the Chinese company is now according to the Middle East North Africa Financial Network considering making an additional and lifesaving investment in Saab. Youngman will meet the other Chinese partner Pang Da and Saab this week to discuss the options. Zeewolde, The Netherlands, 26 July 2011 – Swedish Automobile N.V. (Swan) announces that Saab Automobile AB (Saab Automobile) has delayed payment of the wages to its white-collar employees as some of the funds that were committed by investors were not paid in time to effect such salary payments. Saab Automobile is taking all necessary actions to collect these funds and continues discussions with various parties to obtain additional short-term funding so that the payments can be made. Swan will update the market of any new developments. This is not looking good at the moment. For several weeks now it's been known that an increasing number of suppliers with financial claims on Saab Automobile have been reporting their claims to Sweden's debt enforcement agency, Kronofogden. A total of 104 debts have been registered with the collection agency. Of these, 41 have now been examined by the agency, which yesterday said that eight companies had decided to proceed to the next level with their claims. Three of these are direct suppliers, and the rest are consultants and other companies. The three suppliers are part of the Norwegian Kongsberg Automotive Group. The eight companies can now ask the debt enforcement agency to look into Saab's bank accounts to see if there is any money to be found. If there is no money, or there is not enough money in the accounts, then the debt enforcement agency can start looking for other assets. But it is still the eight companies which decide whether the debt enforcement agency should proceed or not. The remaining of the 41 companies initially examined, may also decide to go to the next level if they please, but at the moment they have decided to wait and see what happens. The biggest of the 41 claims has been reported by SvD to be SEK 4.3 million, and the others are of lesser amounts. If one looks at all of the 104 debts, the biggest is SEK 44 million (supplier International Automotive Components). According to Reuters, the supplier SwePart Verktyg AB has applied to the Vänersborg District Court for Saab Automobile Tools AB to be declared bankrupt. The application was handed in to the District Court today Friday. The debt in question is said to be SEK 5 million, that's about EUR 560,000. Saab Automobile Tools AB is a fully owned subsidiary of Saab Automobile AB. According to the Vänersborg District Court , this is the first application it has received for a Saab company to be declared bankrupt. "Swedish Automobile N.V. confirms that one of the suppliers of Saab Automobile Tools AB (Saab Tools) filed for bankruptcy of Saab Tools, a subsidiary of Saab Automobile AB. The District Court has received the filing, but has not yet rendered a judgement which is expected in a few weeks. 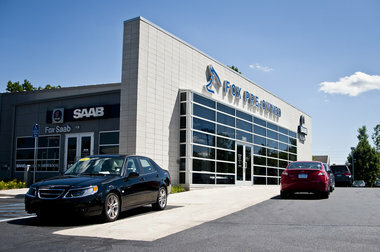 Saab Tools is currently assessing the issue and aims to resolve the issue as soon as possible." The question now is if this will be the start of a series of applications or if Saab will be able to come to terms with this supplier and avoid a bankruptcy preceding in Saab Automobile Tools AB. 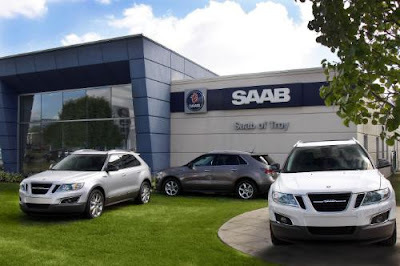 Earlier today it was also reported by TTELA that the two subsidiaries Saab Automobile Tools AB and Saab Automobile Parts AB have given large loans to their parent company Saab Automobile AB. The total amount is said to be at least SEK 800 million. The auditors warn that this can jeopardize the existence of the two companies if Saab Automobile AB goes bankrupt. But now it seems that at least one of these subsidiaries already has problems of its own. For a long time now the hope has been that the Russian banker Vladimir Antonov will be allowed to be part owner of Saab and thus make much needed investments in the company. Today Lars Holmqvist who is the CEO of Clepa, the European association of automotive suppliers, says to Swedish Radio that he believes that the European Investment Bank (EIB) will not allow Antonov to become part owner, and that they will not reconsider. He also says that Saab needs SEK 4 to 5 billion to repay the EIB loans and pay the suppliers, and another SEK 5 billion to secure the existence of Saab in the longer run. On this day which looks to be a bad day for Saab, I will remind my readers that Saab has gone through many bad days lately but has always found a solution and is still here. Despite the production at Saab being down since April, the production of the 70 electric Saab 9-3 test fleet is en route. 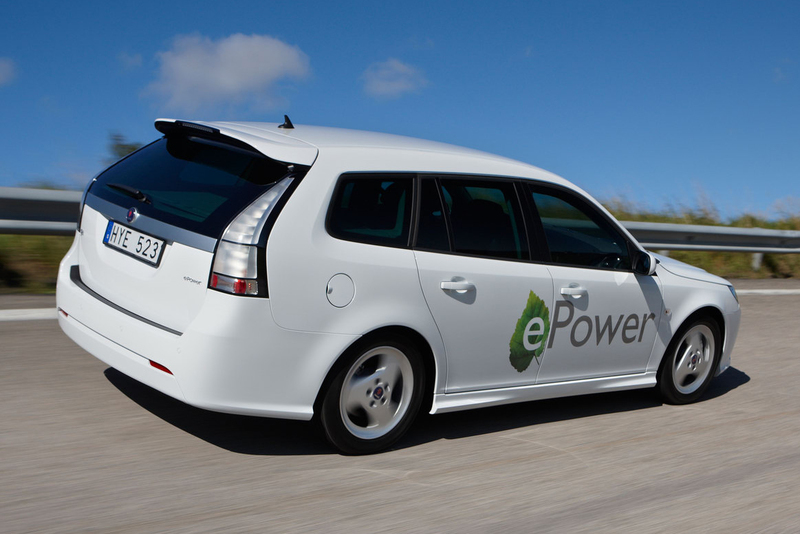 Around 50 engineers are involved in the electric car project. Now the battery to the first of the 70 test cars has been installed. The calculated distance the cars can be driven between each charge is 200 km. The battery is air cooled and is mounted between the four seats in the car and under the car in a T-shape. This gives the car a luggage space similar to the regular Saab 9-3 SportCombi. "Everything is standard. Tires, suspension and the car is only slightly heavier than the heaviest standard model," Peter Zienau who is responsible for Saab's electric cars tells TTELA while he drives the TTELA journalists to Saab's test track in one out of the five prototypes of the electric car that are ready. "At the end of the year, the cars will be sent out to get feedback from customers," says Thomas Ahlqvist, who is technical project manager. Despite being an electric car, it does have the performance of a gasoline car with 0 to 100 km/h in 9.1 seconds and 150 km/h in top speed. The batteries have a total capacity of 35 kilowatt hours. A full charge by regular electrical outlet takes about four hours. At a quick charge station, it takes between 30 and 40 minutes. The production at Saab in Trollhättan has been down since April, but that has not affected the electric car project. "We are independent of the regular production. The cars are built on a prototype line where we built them in a series," says Peter Zienau. But when Saab's car production gets under way in August, even the electric cars will be built on the regular line. TTELA reports that the production restart at Saab in Trollhättan will probably be delayed to week 33. This is based on information that the supplier Trollhättans terminal AB has told its employees that their work will be resumed at earliest in week 33. It is assumed that this also means that the production at Saab will not restart on 9 August as planned, but at the earliest one week later on 15 August. Gunilla Gustavs, spokesperson at Saab, tells news agency TT that the ambition was to restart production 9 August, but that everything depends on agreements being reached with the suppliers. Every delay and every postponement is of course bad news in the given circumstances. 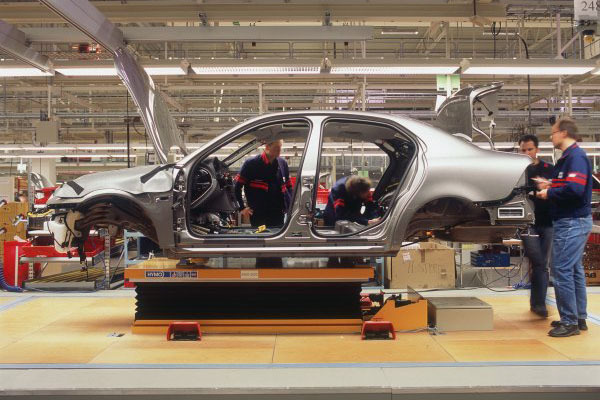 The Saab employees wages is however expected be paid on Monday without any delay. Have you wondered why there's not been any big Saab news the latest days? I think we can "blame" it on summer. Many people in Sweden, including journalists, suppliers and Saab employees, have summer vacation. But even if there isn't much news coming out of Trollhättan, I am sure that the there are teams at Saab working hard to prepare for a production restart in August. My approach is that no news means that everything is going more or less as planned. This is something I never expected. A British review of the Saab 9-4X that is actually very positive. And that's despite the fact that the car doesn't come with a diesel engine and a star, four rings or a blue and white propeller in the grille. 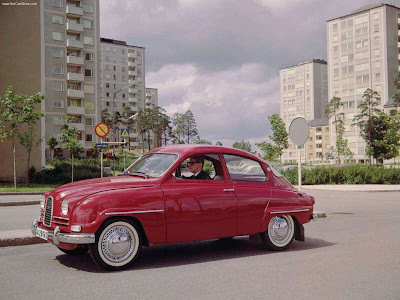 Saab is a combination of Swedish origins and a reluctance to follow the crowd – products that don’t slavishly follow the fickle finger of fashion hold a certain appeal. Unlike some rivals the 9-4X successfully transplants the family DNA on to the sport utility vehicle template. A modest climb into the cabin reveals a layout that follows a sound mix of prac`icality and style. The V6 turbo gives the kind of performance expected of a 300bhp powerplant. There’s a good balance between comfort and handling, helped by the Drive Sense system which electronically adjusts damper settings to the driver’s needs. So if you have a few spare minutes this Sunday, then check out the Eastern Daily Press' review of the Saa 9-4X. According to Dutch business news site beurs.nl, a top official of Pang Da said today Thursday to Dow Jones Newswires that Pang Da Trade Co. is likely to get permission from the Chinese government to make the planned EUR 109 million investment in Swedish Automobile NV, the parent company Saab. An investment that would see the Chinese company gain a 24 percent stake in Saab. "Saab needs a "significant" extra cash injection to remain viable in the long run," said Wang Yin, secretary of the Board of Pang Da. "We are very optimistic about obtaining the approval of the government," Wang said in an interview with Dow Jones Newswires. "Saab is an established European brand, and we want a large stake in the company, which we believe fits in the Chinese policy that encourages companies to invest abroad." Beijing-based Pang Da wants together with Zhejiang Youngman Lotus Automobile Co., a Chinese car and bus manufacturer, to invest EUR 245 million in Swedish Automobile and thereby get a majority stake of 53.9 percent. This EUR 245 million investment would secure Saab "one and a half year" of uninterrupted operations, Wang said. Pang Da was "looking for other financial partners" for the additional investment necessary. Foreign investment by Chinese companies usually have to be approved by the Chinese Department of Commerce and the National Development and Reform Council (NDRC). "It is our experience that it takes at least a half year to get all permits from the government. We will obviously do our best to expedite this, but we can not control it," said Wang. Last week I reported that Swedish media claimed that both Saab's CEO Victor Muller and the Russian banker and friend of Muller, Vladimir Antonov, would participate in the Midnight Sun Rally. When I wrote the blog post I was a bit cautious as I was doubting that both would participate. And today we get the notice that none of the two will participate. According to TTELA, Vladimir Antonov will not participate due to the continued uncertainty about his involvement in Saab. It is unknown why Muller will not participate. But I would think that he has more important issues to handle than a Saab rally car. Today Swedish Radio reports that the central bank of Lithuania allege that the Russian banker Vladimir Antonov's bank Snoras has broken the law in security trading and misconduct when lending out money. It is however not known exactly what the central bank means by saying that Snoras has broken the law. According to Swedish radio, the criticism concerning the lending of money can be connected to a large loan given to Russian company. A company which had not been able to get loans from other banks. A loan that can have led to large losses for Snoras in 2010. Furthermore, this could be the reason why the European Investment Bank (EIB) is reluctant to allowing Antonov to become part owner of Saab. In April this year Mr. Antonov was approved to become part owner of Saab by the Swedish National Debt Office (NDO). When the head of the NDO, Bo Lundgren, was asked about the accusations from the Lithuanian central bank, Mr. Lundgren told E24 that he did not know about the allegations. But he added that these allegations would probably not lead to a different conclusion and the NDO would probably still approve Mr. Antonov. According to Lundgren, the reports of allegations can not be very seriously as the central bank has allowed Antonov to stay as owner of Snoras. Spokesman of Antonov in Sweden, Lars Carlström, dismissed the reports that the Lithuanian central bank's criticism against Snoras is the reason why the EIB is blocking Antonov from becoming part owner of Saab. "If that was the case, it would have been easy for the EIB just to refer to that," Carlström said and continued saying that there had been no clear explanation why Antonov was not getting approval. Due to CEO Victor Muller extensive traveling around the world, Saab has now nominated four new legal representative to act on behalf of the company. In addition to Muller, six people can now make deals on behalf of Saab. "It is purely for reasons of practicality, as Victor Muller is traveling so much," Gunilla Gustavs, spokeswomen of Saab told DI.se. Two of the new legal representatives are already part of the management group, and the remaining two is working in the finance department. So it looks like Saab expects Muller to continue traveling around the world to make deals and raise funds for Saab. 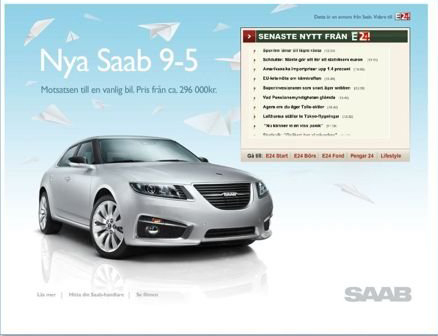 The latest deal, the property sale, saw Saab receive SEK 205 million yesterday. One of the buyers of the property, Construction and property contractor Erik Paulsson of Peab and Brinova, tells DI.se that he believes in Muller and that they bought the property believing that Saab will survive. "He's an entrepreneur, an enthusiast who does not quit. He was here at the tennis tournament last year and gave a presentation," Paulsson, who lives in Båstad - the town which hosts the Swedish Open, said about Muller. Muller even managed to convince Paulsson to buy a Saab. "You're going to buy one he said, and I did. I traded in my other car. I'm happy I did." Saab lesson four: If your car is smoking, then stop! I found this video of a smoking Saab on Youtube. I hope the Saab owner gets his car checked by a mechanic! Are you just like me getting tired of the same news reports over and over again about Saab's problems and shady future? Then you should check out the analysis from British FleetNews. They have made an analysis which is surprisingly positive on both the development the latest two weeks concerning Saab's funding and also about Saab situation in the UK. Just by reading the head line you understand that this is a good article not tainted by the usual clichés and easy conclusions. Saab GB is now in the top third on the dealer satisfaction league table. Saab GB were on track to sell 10,000 cars before the Trollhättan manufacturing plant was shut down. The order bank for Saab GB is now over 1,000 cars. The possibility of Saab shutting down has not yet troubled UK buyers. Contract hire deals are unchanged. No increase for the fleets in contract hire deposits. Leasing firms appear happy to continue supporting Saab despite the latest problems; "This is nowhere near as bad as it got in 2009. We have no problem supporting Saab and are confident they will secure the necessary funds." So if you want to read a positive and thorough analysis without the usual easy conclusions, then visit FleetNews. 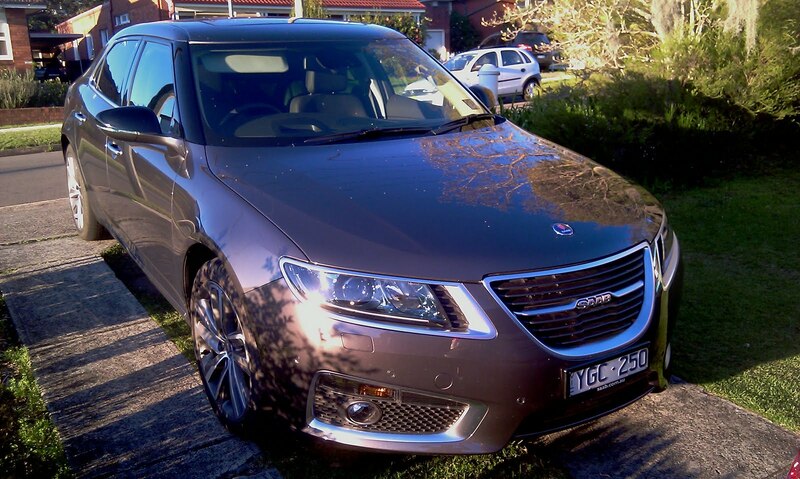 JoeR from Australia posted the following Saab 9-5 Aero review in the comments section earlier this week. In this driver focused review JoeR manages to put his impressions of the car into words in a very enjoyable way. And to me, a review done by an "ordinary" guy is ten times more interesting than the reviews in car magazines. So here it is, JoeR's review. Have a great Saab Saturday! Day 1 driving the Aero, a real Dr Jekyll, Mr Hyde car and everything in-between. My Toy is a Tarmac VK Commodore that’s makes 230kw and only weights 1275kg. The 9-5 Aero drives like a limo going to a funeral, the outside is like watching the TV in your lounge but flip the gear shift over to tiptronic and use the paddle shifters with the heads up display (that shows the gear position) and the Aero turns into a rocket. The 4 wheel drive allows you to pick a gear lower than you think you need and suddenly that 30km round about in 1st makes the car sling shot out (meanwhile pedestrians continue to not notice you) the car tyres do not squeal and there is no loud exhaust. Best still I can give the car to my wife who will happily pot away with the Grand parents in the back. Better still my 186cm 15 year can fit into the back. Did I mention the electric hand brake, so easy to use and no lever to clutter the centre console? The heads up display is adjustable so if you lower the seat you can lower the display, cool. Great for school zones, eyes never having to leave the screen. Aero seats are great, firm but when things get busy you are held comfortable in place. The torque of the GM V6 twin-scroll turbo is good, feels like an Ls2. They should put one of these into the VE Commodore. The leather in the car is superb, every time I got back into the car and put my hand on the wheel I would stop and appreciate how it felt. Day 2 driving the Aero. Trip up the M4 to Penrith, right to Richmond, Kurrajong, Bells Line Rd to Bell, took Darling Causeway to Mount Victoria, Wentworth Falls (short stop) back to Sydney via M4. The M4 the Aero cruised at 1650rpm @ 110kmh. Very comfortable the sun roof open at 7c with seat warmers on and temp set to 24c. All the BMW drivers would have a sticky beak at the Aero as I edged pass. The sun visor can pivot to the side window and extend to completely block out the low rising winter sun, very handy. The suspension was set to intelligent mode. The road to Penrith had a mixed road surface, the ride was always controlled and you were always aware that the Aero was in control of any bumps or broken road surface. Into Richmond was selecting gears by the gear shifter (+ or -) and using the normal speedo as your hands were more busy and your eyes glancing at sat nav, signs and controls. You could select 6th gear any time over 80kmh. Up the Bells Line Rd following slower than the speed limit traffic as the road narrowed, the other cars ahead seemed to have trouble holding their lane, and often crossing the inside marked lines or travelling over the cat eyes. Strange as the wide 2 ton Saab Aero start to drive like a small car as it was so precise and cut through the road like a knife through butter with no effort at all and always within the lane. The twin-scroll turbo six was quiet and you were never aware of it, was driving with the paddles and using the heads up display now as the focus was purely on the road and traffic. It was great to have the choice in speedo. On the overtaking lanes, especially the ones on hills, the torque easily kept the car at the speed limit and would easily dispatch the slower traffic. The AWD always presented a neutral attitude into corners even if you happen to go faster then the recommended corner speed because you were scanning another radio station eg 50km into 25km bend, no drama no tyre squeal, just smooth cornering. At Wentworth Falls stop for a drink and continued the journey, now following the wife in the V70 2.4T. Set the suspension to comfort and listen to Elton John, Bruce Springsteen. The car rode softer but still you had the reassuring connection to the road. Cruised at 100kmh with 1550rpm, the middle gauge now set to instant fuel consumption. On the flats was slipping into the 6l per 100km. For a 2.8l and car weighting 2 tonne was quiet good, the V70 with a 2.4l was doing better but with only 1500kg weight. As the traffic built on the M4 the speed dropped to 90kmh and now the fuel consumption on the flats was into the 5's. The seats were still comfortable after spending 4 hours in the car. Back in Sydney, BMW drivers still having a peek at the Aero, even the Porsche drivers gave the car a glance. Off course other SAAB drivers paid attention as well but the award for car envy (never though I see this) when to the Audi driver who stuck his head out the window to get a better look. The car had dropped the fuel consumption from delivered 12.2l per 100 to 11.5 (distance travelled 3500km) so the average for the trip would of been under 10. Maybe not diesel type fuel consumption but very good for a large car with AWD and power of 220kw. Later that night, picked up 3 adults, two over 182cm, and everybody was commenting on the comfort and leg room, even my Wife (a Volvo tragic) liked the ride but not as cushy as her V70 (is anything?). Unfortunately, I needed to drop of the Aero and transferred to a 2003 9-3 SS. We all fitted (just and it was a short trip) and the willing 2l turbo impressed with its eager turbo but we all missed the comfort of the Aero. COO of Saab Cars of North America, Tim Colbeck, told journalists at a recent press briefing that he believes that Saab can turn the negative trend of lately quickly into profitability. "I think we're in a position where we can have strong cash flow and reach profitability pretty quickly," Colbeck said and continued "Remember we have a very low break-even." This low break even point should be around 80,000 cars. 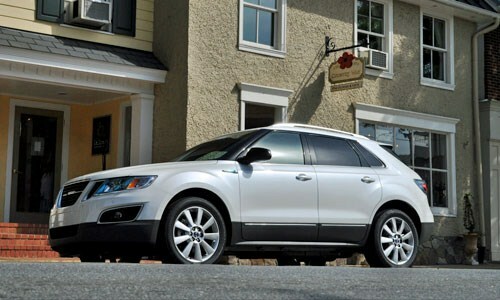 Last year Saab sold about 30,000 cars. This year the goal was to sell 80,000, but with the manufacturing plant stopped for three months so far and no restart before August, reaching 80,000 this year will be impossible. 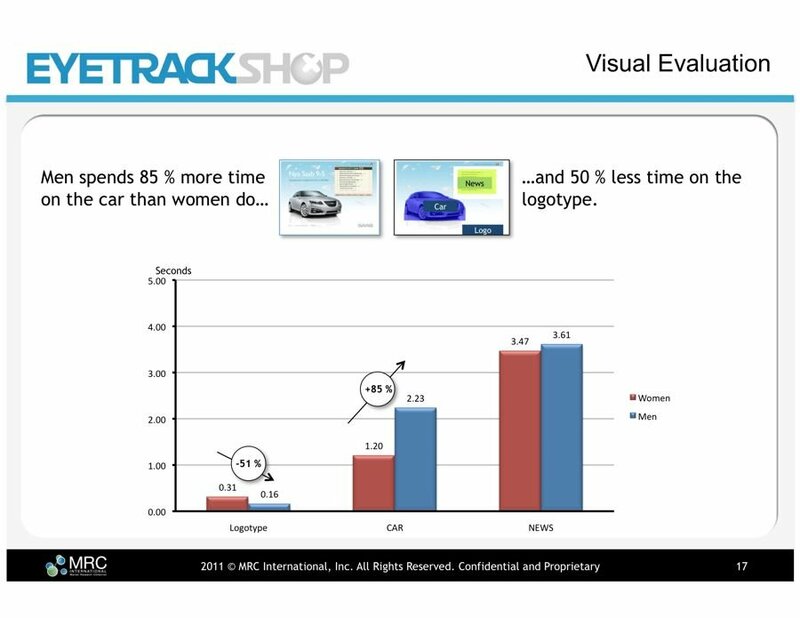 But Colbeck still has a strong belief in Saab. "I'm more convinced now than ever the brand will survive," Tim Colbeck said. The troubles in Sweden of lately have also affected the US with delayed deliveries of the 9-5 and 9-3. 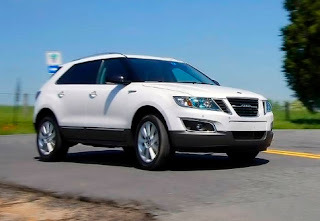 But according to Colbeck, sales are expected to increase now that dealers are taking delivery of the new Mexico built Saab 9-4X. Colbeck forecasted that US sales could easily jump to 30,000 units in the next couple years. TTELA reports that Sweden's Minister for Enterprise has confirmed in a radio interview this morning that the Goverment will approve Saab's sale of 50.1 percent of the shares in the Saab property company that owns among other things the Saab Trollhattan manufacturing plant. This means that Saab and the consortium of buyers, with Hemfose Fastigheter in the lead, can finalize the deal and Saab will get SEK 255 fresh millions. Another important step towards restarting production has been reached! Update: Saab has now issued a press release confirming that all relevant stakeholders have approved the sale and lease back deal concerning Saab property. In the press release it is also said that the goal now is to resume production in Trollhättan by 9 August.